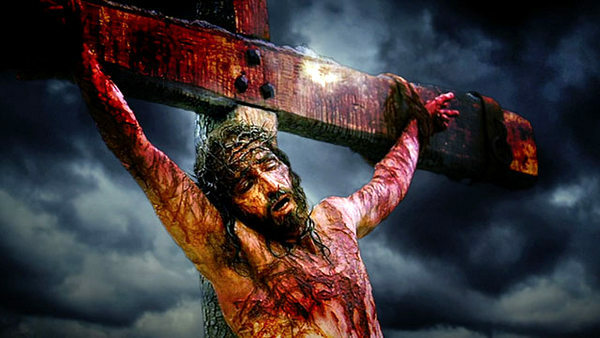 A commonly proposed date for the crucifixion of Christ is Friday April 3, AD 33. This was the conclusion of Fotheringham (1934)[1,2], Hoehner (1978), Humphreys & Waddington (1985), Schaeffer (1990) and others. Newton also considered this date but preferred Friday April 23, AD 34. Various other dates have been proffered, among which are proponents of the Wednesday crucifixion on April 25, AD 31. A) Matt 12:40 is emphatic that Christ would lie in the grave for three days and three nights. This is no minor matter to be ignored or trivialized since Christ indicated that it is the only sign of his messiahship (Matt 12:39; Luke 11:29~30). Neither the Friday or Thursday crucifixion days satisfy these criteria. B) The weight of the evidence is that Christ was not resurrected on Sunday morning. All the gospels agree that when the women came to the tomb early Sunday morning, Christ was not there (Matt 28:1; Mark 16:2; Luke 24:1; John20:1). John’s account points out that it was still dark when they came to the tomb. This makes the Friday crucifixion date even more untenable since it effectively removes any fraction of the Sunday daylight period from the count. Most translations of Mark 16:9 have interjected the word ‘Jesus’ into the verse and wrongly give the impression that Jesus rose on the first day of the week. The New International Version, based on the minority texts, even discounts the whole section from Mark 16:9 ~ 20. C) Considering the events that transpired from Jesus’ death at about 3.00pm (Matt 27:45) to the time he was placed in the tomb, it is likely that Jesus was placed in the tomb at dusk (Matt 27:57). This situation will also remove a partial daylight period from the count and further calls into question the Friday crucifixion. D) John 19:31 makes it clear that the Sabbath following Christ’s crucifixion was a ‘high day’ or an annual Sabbath which could fall on almost any day of the week (Lev 23:5~7). 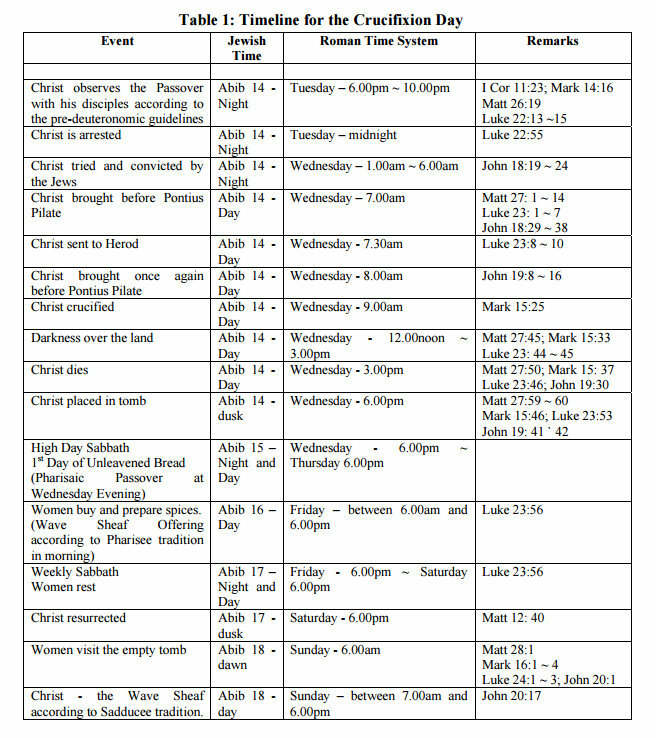 The weekly Sabbath by comparison begins at twilight on Friday and ends at twilight on Saturday (See section 3.1). The misunderstanding of this distinction is perhaps the prime reason why so many analyses have gravitated to Friday crucifixion date. E) Luke 23:56 tells us that the women prepared spices and then rested on the Sabbath. Since a High Day Sabbath followed the crucifixion, the spices could not be prepared until after the High Day Sabbath had come to an end. Luke 23:56 requires another Sabbath rest day following the High Day Sabbath, which a Friday crucifixion/Sunday resurrection does not allow. This verse also negates a Thursday crucifixion, since the day following the crucifixion was a High Day Sabbath and no work was to be done (Lev 23:7), leaving no opportunity for the women to prepare spices before the weekly Sabbath started. The widespread fixation on a Friday crucifixion in the face of such compelling biblical contradiction is puzzling, especially since the historical details of the process of adoption of the Easter tradition following the ‘Quartodeciman controversy’ is well documented. A) An understanding of how the Jews counted the day. B) An understanding of how different sects observed the Jewish Spring Holy Days. Stroes and other researchers(chap 5) have pointed out the difficulties in exegesis for words translated ‘day’ in the Bible and also for terms relating to the day, such as ‘morning’, ‘evening’ and ‘between the evenings’. Zeitlin has also highlighted possible changes in time reference in the Old Testament. However, for the period of Christ’s life, there is consensus that the dominant Jewish sects counted the start of the day at twilight, so that a full day consisted of the night period followed by the daylight period(pg 52). Mark 1:21, 32 is a confirmation of this practice, since the people waited until the Sabbath ended at sunset, before bringing their sick to Jesus. The timeline of the Synoptics is a 9.00am crucifixion followed by a period of darkness from noon to 3.00pm, when Christ dies (Mark 15:25, 33; Matt 27:45; Luke 23:44). In John 19:14 however, the term ‘sixth hour’ (KJV) is used and many have assumed that John was referring to the time just before the crucifixion. Some authors have proposed that the ‘sixth hour’ in the Roman system of timekeeping is about 6.00am, and signified the time that Jesus was brought to Pilate for questioning. Wright has highlighted the difficulties in this interpretation since the placement of John 19:14 is after the trials by Pilate and immediately precedes the crucifixion. In examining the other scriptures where John gives the time of day (John 1:39; 4:6, 52), the context is consistent with the Jewish system of timekeeping. In any event, it seems implausible that Pilate’s Judgment hall would be open as early as 6.00am, since that corresponds to daybreak around the time of the spring equinox at Jerusalem’s latitude. b) The Days of Unleavened Bread. c) A High Day Sabbath on the first day of Unleavened Bread. d) A High Day Sabbath on the last day of Unleavened Bread. e) The Night to be Much Observed. f) The Wave Sheaf Offering. Though different sects recognized these events during the Spring Holy Days, they did not always agree on when and how they were to be kept. There was consensus that the Days of Unleavened Bread was a seven-day period commencing on the fifteenth of the first Jewish month, called Abib or Nissan, with the first day being a High Day Sabbath and the seventh day being a High Day Sabbath. However, different sects had different views on the other spring Holy Day events. The plurality of practices that existed at the time of Christ is best illustrated by the differences in when the Wave Sheaf Offering was observed. The Pharisees kept the Wave Sheaf Offering on the day after the High Day Sabbath on the first day of Unleavened Bread, while the Sadducees, Samaritans and Karaites observed it on the day following the weekly Sabbath that falls within the period of the Days of Unleavened Bread. The Boethusians, on the other hand, kept the Wave Sheaf Offering on the day following the weekly Sabbath that came after the Days of Unleavened Bread, while the Falashas observed it on the day following the High Day Sabbath on the last Day of Unleavened Bread[16, 17]. The Qumran sect kept the Wave Sheaf Offering on the day following the Sabbath that falls during the Days of Unleavened Bread, but used a 364 day Solar Calendar that differed from the Lunar Calendar used by most of the other sects, so that the Spring Holy Day events fell on specific days of the week. In the case of the Passover, the Pharisees, the dominant sect at the time of Christ’s crucifixion, killed the Passover in the daylight portion of the fourteenth of Abib and consumed it on the night portion of the fifteenth of Abib, at the same time that the first day of Unleavened bread had begun. Josephus places the slaying of the lambs between 3.00 ~ 5.00pm(6.9.3), while other sources suggest that the slaughter began at midday[20-22]. Even though the Passover and the Days of Unleavened Bread were separate events (Mark 14:1), the Pharisees and other sects also used the terms ‘Passover’ and ‘Days of Unleavened Bread’ interchangeably[23, 24]. The Passover practices of many of the other sects were lost when they disappeared from history, but we do have existing today, a small community descended from the Samaritans, who observe the Passover on the evening portion of the fourteenth of Abib. The Samaritans who derived their religious practices from Israelitish priests (II Kings 17:27 ~ 28), also hold to the pre-deuteronomic rituals of the Passover, where the sacrifice is to be done by the laity and not by the priests at the sanctuary. Talmon has pointed out that there are historical differences in Holy Day practices between the Jews and the other tribes that constituted Israel. Philo also confirms that the Passover was kept according ‘to the order and tradition of each people’. As for the Night to be Much Observed, the Pharisees have traditionally combined this celebration with the Passover Celebration on the evening portion of the fifteenth of Abib. Since the destruction of the Temple, Pharisees have continued with this celebratory meal but have reduced the Passover observance to preparing a token Passover plate containing the roasted shank of a lamb. The Karaites as well have celebrated the Night to be Much Observed on the night of the fifteenth of Abib, but have not celebrated the Passover since the destruction of the Temple in 70AD. Much of the confusion on the keeping of the Jewish Spring Holy Days is attributable to the Deuteronomic instructions, which differ in significant ways from the instructions in the other books of the Torah. These differences have prompted Coulter to make a case for scriptural editing of Deut 16, along the lines of those evidenced by Deut 34. Indeed it is unlikely that Moses would have instituted such significant changes to the Passover rituals without some explanation on the change from his previous instructions in Ex 12 and 13, Num 28 and Lev 23. The important observation is that there was no uniform way in which the Spring Holy Days were observed in the time of Christ. The Gospel accounts can therefore be accepted without interpretation, with Christ and his disciples observing the Passover on the evening/night of the fourteenth of Abib, while the Pharisees began preparations for the Passover sacrifice on the afternoon period of the fourteenth of Abib and consumed the Passover sacrifice on the evening/night of the fifteenth of Abib. Jesus was crucified during the procurator-ship of Pontius Pilate, which was during AD 26 to AD 36, so this limits the period to be investigated. If the fourteenth of Abib was from Tuesday 6.00pm to Wednesday 6.00pm, then the first of Abib would fall from Wednesday 6.00pm to Thursday 6.00pm. At the time of Christ, the first day of the month was determined by observation of the first appearance of the New Moon[34, 35]. Additionally, the proclaiming of the first month of the year was determined by the New Moon that permitted the barley harvest to be full enough to perform the Wave Sheaf Offering. The fixed Jewish Calendar in use today, as well as contemporary observations of the barley harvest by the Karaites, place the start of Abib, both prior to and following the spring equinox on March 21st, once the Passover itself falls after the spring equinox. We will consider both pre and post equinox months for thoroughness. The commencement of Christ’s ministry can be reckoned from his baptism. Luke 3:1 tells us that John the Baptist began his ministry in the fifteenth year of the reign of Tiberius. Christ was baptized soon afterwards and as he was approaching his thirtieth birthday (Luke 3:21 ~23). Tiberius was appointed co-regent with Augustus Caesar in late AD11(pg 64) (Chap II). Thus the fifteenth year of Tiberius would late AD 25 to late AD 26. Since Christ’s ministry began with baptism (Matt 3:6; Mark 1:9), it is unlikely to occur during winter, which restricts it to the spring/summer period (John 3:23). This places Jesus’ baptism to the spring/summer of AD 26. In John 2:20, the temple was dated as forty six years from the start of construction. Since the temple was started in 20 BC(pg 40), the incident of John 2:20 occurred in AD 27. The start of Christ’s ministry preceded that date thus supporting the baptism date of spring/summer of AD 26. 1. The Passover events described in the section John 2:13~17 correspond to the crucifixion Passover, while the other events described in John 2:18 ~ 25 relate to a previous Passover. An indication of the length of Christ’s ministry can be deduced from John 10:22, which speaks of Christ being in Jerusalem during the Feast of Dedication in winter. Since the Synoptics preclude Christ’s presence in Jerusalem during the winter preceding his crucifixion, then the incident describes in John 10:22 must have occurred in a previous winter. Another piece of evidence in determining the length of Christ’s ministry is provided by John 3:22~23, which shows an overlap with John’s ministry during the spring/summer baptizing period. Though the traditions of the ‘Church Fathers’ show almost as many variations as there are ‘Church Fathers’, one that supports the AD 28 crucifixion is ascribed to Clement of Alexandria, who stated that Jerusalem was destroyed forty-two years and three months after Christ was crucified. The temple was destroyed on the Jewish month of Av, corresponding to July/August, while Jerusalem was taken in the Jewish month of Elul in AD 70 (6.10.1)[40, 41], corresponding to August/September. 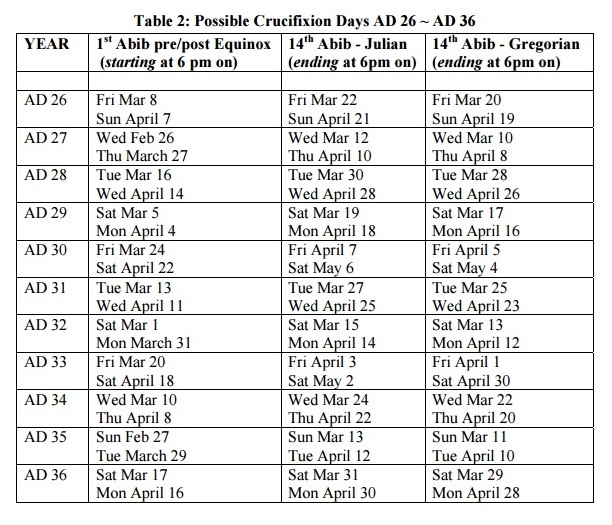 These dates support a late April AD 28 date of the crucifixion. The content of the gospel of John brings into question the identity of the author, since much of the first eleven chapters contain intimate knowledge of Christ’s ministry before John (Zebedee) was called. John was not reluctant to admit his authorship of the book of Revelation (Rev 1:1), whereas the author of the gospel of John never did disclose his identity (John 21:24). Both Filson and Phillip suggested Lazarus as the author, but John 11:1~44 provide details of events that occurred when Lazarus was dead, that would be difficult for Lazarus to witness to. Titus has suggested Matthias as another candidate for the authorship of the Gospel of John, but the conclusion is uncertain. Since John was a common name at the time of Christ, the traditional name ascribed to the fourth Gospel cannot be discounted, but may refer to a John other than the son of Zebedee. John 18:15~16 and Acts 4:6 supports this possibility. c) In stipulating a time for the collection of taxes, authorities would avoid disrupting pre-harvest activities and would likely wait until the harvest is in and people have the wherewithal to pay their taxes. 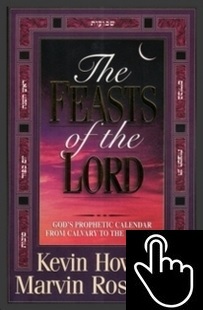 The early harvest in Israel was in May/June in time for Pentecost, while the later harvest was in September/October before the Feast of Tabernacles. d) Luke 2:3 stipulates that everyone went to their city of registration to be taxed. This negates against the taxation occurring precisely during the pilgrim feasts of Passover, Pentecost or the Feast of Tabernacles, since the inhabitants of all Israel would converge on Jerusalem during those periods (Deut 16:16). The taxation would therefore have to be prior to or following the time of these Feasts. The fact that none of the Gospels mention any aspect of the pilgrim feasts in connection to Christ’s birth supports a birth outside these periods. In considering possible dates for the taxation, November is a rainy month, while the time for the prePentecost harvest is short. The most convenient times for the taxation would therefore be either after Pentecost in May/June or prior to the Feast of tabernacles in September/October. Thus the likely period of the birth of Christ is from summer to early autumn. A possible scriptural indication of the birth of Christ is given Luke 1:26 which states that Gabriel visited Mary in the sixth month. If this is taken to be the sixth month of the Jewish year rather than the sixth month of Elizabeth’s pregnancy, this points to a conception in the period August to October, and the birth of Christ during the period May to July. These two possible dates of Herod’s death provide the likely dates for Christ’s birth given in Table 3. In Sec 5.3.1, the commencement of Christ’s ministry was determined to be the spring/summer of AD 26. Since Christ was about thirty years old at that time, the year of Christ’s birth works out as 5 BC. This negates the commonly held view that Herod died in BC 4 and lends support for the BC 1 date. Crucified – Wed April 28, AD 28 (Julian). Fotheringham, J.K., Astronomical Evidence for the Date of the Crucifixion. The Journal of Theological studies, 1910(1): p. 120-127. Fotheringham, J.K., The Evidence of Astronomy and Technical Chronology for the Date of the Crucifixion1. The Journal of Theological studies, 1934(138): p. 146-162. Hoehner, H.W., Chronological Aspects of the Life of Christ. 1978: Zondervan. Humphreys, C.J. and W.G. Waddington, The Date of the Crucifixion. Journal of the American Scientific affiliation, 1985. Schaefer, B.E., Lunar Visibility and the Crucifixion. Royal Astronomical Society Quartely Journal, 1990. V.31 (NO. 1/MAR): p. P. 53. Pratt, J.P., Newton’s Date for the Crucifixion. R.A.S. Quartley Journal V.32, NO. 3/Sep, p.301, 1991. 32: p. 301–304. Purcell, E.W., True Story about the Sign of Jonah. 2007: Xulon Press. Scroggie, W.G., A Guide to the Gospels. 1948. Banks, W., Three Days and Three Nights. 2005. 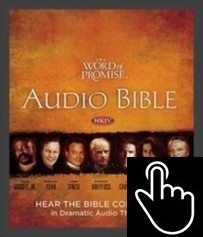 Society., I.B., The New International Version Study Bible. 1978: Zondervan. Zerubavel, E., Easter and Passover: On Calendars and Group Identity. American Sociological Review, 1982. 47(2): p. 284-9. 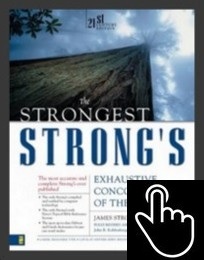 Stroes, H.R., Does the Day begin in the Morning or Evening. Vetus Testamentum 1966. Vol. 16, Fasc. 4, : p. 460-475. Zeitlin, S., The Judaean Calendar during the Second Commonwealth and the Scrolls. The Jewish Quarterly Review, 1966. 57(1): p. 28-45. Wright, A., On the Date of the Crucifixion. I. The Biblical World, 1893. Vol. 2, No. 1, : p. pp. 7-14. Armstrong, H.W., Pagan Holidays – or God’s Holy Days – Which? 1976: The Worldwide Church of God. Hepner, G., The Morrow of the Sabbath is the First Day of the Festival of Unleavened Bread (Lev 23, 15-17). Vol. 118. 2006: Walter de Gruyter. 389-404. Morgenstern, J., The Origin of Massoth and the Massoth-Festival. The American Journal of Theology,, 1917. 21(2): p. 275-293. Lefgren, J.C. and J.P. Pratt, Dead Sea Scrolls May Solve Mystery, in Meridian Magazine 2003. Josephus, F., The Wars of the Jews or History of the Destruction of Jerusalem Plain Label Books. Charles, R.H., Book of Jubilees (49:1 ~ 2). Edersheim, A., The Temple: Its Ministry and Service as They were in the Time of Christ (Chap 11). 1986: Grand Rapids, Michigan: Wm. B. Eerdmans Publishing Co.
Burkill, T.A., The Last Supper. 1956. 3(1): p. 161-177. Smith, B.D., The Chronology of the Last Supper. Westminster Theological Journal, 1991. 53(1): p. 29-45. 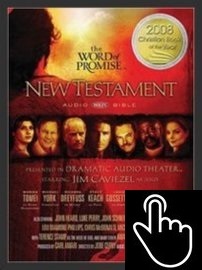 Story, C.I.K., The Bearing of Old Testament Terminology On the Johannine Chronology of the Final Passover of Jesus. Novum Testamentum, 1989. 31(4): p. 316-324. K’fir, A. The Samaritans’ Passover sacrifice. 2007 [cited; Available from: http://www.ynetnews.com/articles/0,7340,L-3394699,00.html. Montgomery, J.A., Passover among the Samaritans. The Jewish Quarterly Review, New Series, 1933. 24(2): p. 152-153. Talmon, S., Divergences in Calendar-Reckoning in Ephraim and Judah. Vetus Testamentum,, 1958. 8(1-4): p. 48-74. Shepherd Jr, M.H., Are Both the Synoptics and John Correct About the Date of Jesus’ Death? Journal of Biblical Literature, 1961. 80(2): p. 123-132. Rekhavi, H.M.Y., Karaite Passover Haggadha. 2005. May, H.G., The Relation of the Passover to the Festival of Unleaved Cakes. Journal of Biblical Literature,, 1936. 55(1): p. 65-82. Coulter, F., The Christian Passover. 2nd ed. 1999: Christian Biblical Church of God. Bond, H.K., Pontius Pilate in History and Interpretation. 2004: Cambridge University Press. Gartenhaus, S. and A. Tubis, The Jewish Calendar—A Mix of Astronomy and Theology. Shofar: An Interdisciplinary Journal of Jewish Studies, 2007. 25(2): p. 104-124. Langdon, S., J.K. Fotheringham, and C. Schoch, The Venus Tablets of Ammizaduga. 1928: London University Press. Movement, W.K., Karaite Korner Newsletter – Archive. 2008. 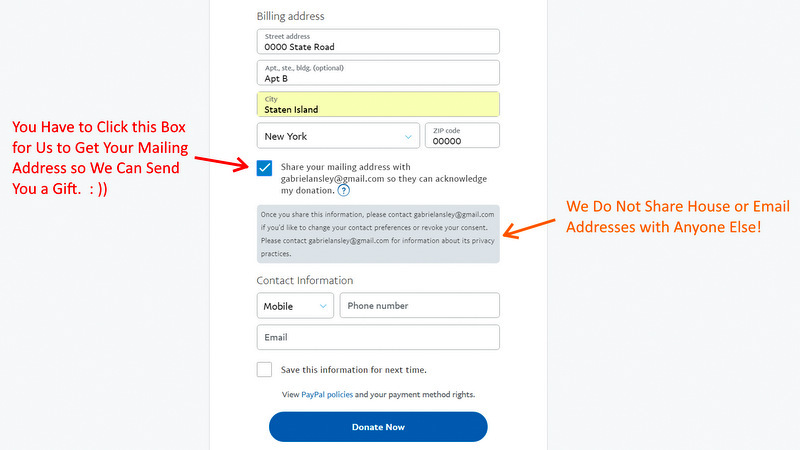 USNO, Julian Date Converter. 2008, U.S. Naval Observatory. Amadon, G., Ancient Jewish Calendation. Journal of Biblical Literature, 1942. 61(4): p. 227-280. Savile, B.W., The first and second Advent: or, The past and the future with reference to the Jew, the gentile, and the Church of God. 1858: Judd & Glass. Zeitlin, S., The Duration of Jesus’ Ministry. Jewish Quarterly review, 1965. 55(3): p. 181-200. Zachary, J., ed. Scientific Date for Destruction of Herod’s Temple in AD70. 2001, Harvard House. Filson, F.V., Who Was the Beloved Disciple? Journal of Biblical Literature,, 1949. 68(2): p. 83-88. Phillips, J., The Disciple Whom Jesus Loved. 3 ed. 2004: J. Phillips. Titus, E.L., The Identity of the Beloved Disciple. Journal of Biblical Literature, 1950. 69(4): p. 323-328. Hughes, D.W., The Star of Bethlehem. Nature, 1976. 264(5586): p. 513-517. Goldreich, Y., Temporal variations of rainfall in Israel. Climate Research, 1995. 5: p. 167-179. Tadmor, N.H., E. Eyal, and R.W. Benjamin, Plant and sheep production on semiarid annual grassland in Israel. Journal of Range Management 1974. 27(6): p. 427-432. Epstein, H., Awassi sheep. FAO World Animal Review, 1982. 44: p. 9-18. Josephus, F., Antiquities Plain Label Books. Schürer, E., The History of the Jewish People in the Age of Jesus Christ (175 BCAD 135). 1973: Clark. Filmer, W.E., THE CHRONOLOGY OF THE REIGN OF HEROD THE GREAT. The Journal of Theological studies, 1966. 17(2): p. 283. Barnes, T.D., THE DATE OF HEROD’S DEATH. The Journal of Theological studies, 1968(1): p. 204-209. Bernegger, P.M., Affirmation of Herod’s Death in 4 B. C. The Journal of Theological studies, 1983. 34(2): p. 526-531.